Our customers are mostly from YouTube, Lowyat.Net, Cari, Lelong, Mudah and some other forums. You can find our customers feedback at here since 2009. 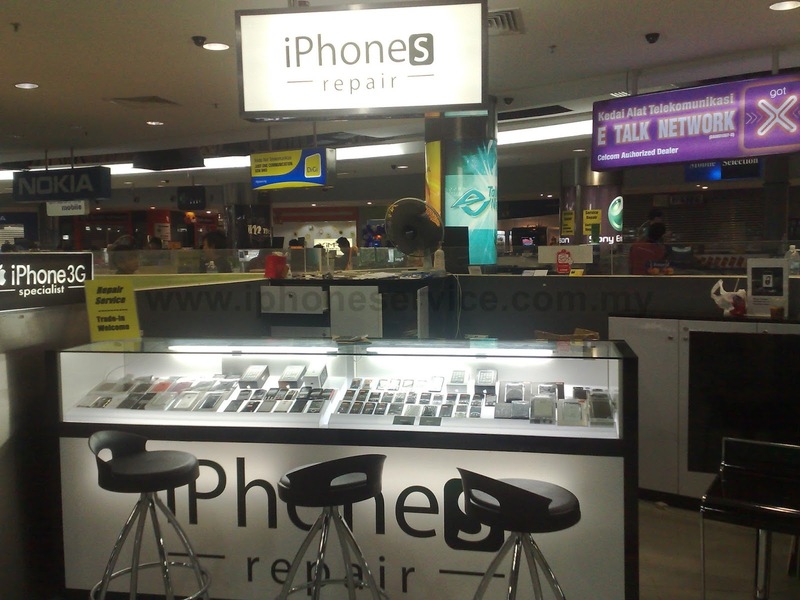 Our company provide professional iPhone repair service in Malaysia since 2008. It's when the First generation of iPhone becomes popular, which only launched in USA and third party seller import to Malaysia. Nobody in Malaysia know how to repair it. At first we were just try to help some forum members solving their iPhone problem. Not long after, we found out iPhone repair service is needed in Malaysia. Then we decided to open a shop for it, unfortunately we couldn't afford shop then opened a kiosk instead. 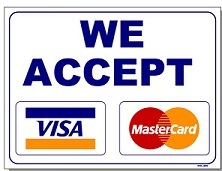 Therefore we started accept walk-in repair service in The Mines Shopping Center. 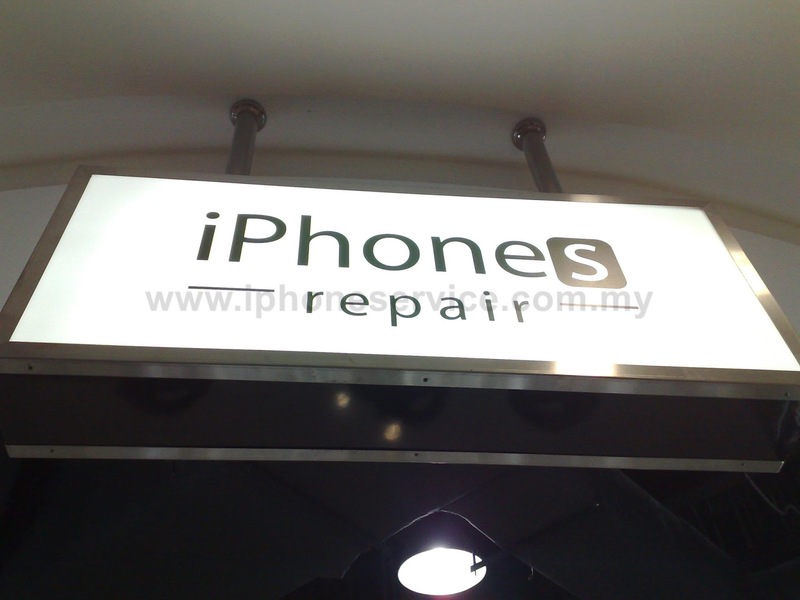 Our very first instant repair iPhone shop is born in Malaysia, 2009. Later years we moved into shop. From a counter booth (Kiosk) upgraded to shop in Mines 2. But unlucky that Mines 2 forced all tenants to move out after a year contract. Received some compensation from Mines2 then moved into South City Plaza on 2012. In 2013 my company name finally successful registered as iPhone Service. Been a long road to get this name for legal. The newer the iPhone then the harder to repair. I then went into China learn some advanced repairing skill. Especially motherboard issues. Now i'm very good at it. Joined their China iPhone repair union on 2017. We now have a very big support from global community. Until now i have been repaired up to hundreds thousands of iPhone. We are professional with superb skills, latest expensive tools and equipment to do the job. Just only iPhones and iPads. There are some copycats are using our name and illegal. We only have ONE shop in public. Other is private academy. 2009 iPhone 3GS launched in Malaysia. At the same time, I knew Apple would become major seller, so i opened an iPhone repair specialist kiosk on 2009. But we started repair since 2008, iPhone 2G first model. 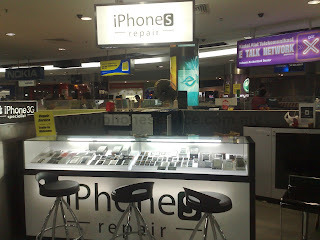 2009, My first iPhone specialist kiosk in The Mines Shopping Mall. There was no competitor at that few years.. i was one of the leading in the market. 2011, I need bigger place. Upgraded from kiosk to shop. Moved into Mines 2. Cheaper rent for new mall. Kiosk was RM5600 per month. Shop is RM4000. 2012, We moved into shopping mall too. Because we need car parking, security, many restaurant or market that customer can wonder around while waiting. South City Plaza, an old mall. Our shop is located at front main entrance. if you know who is the guy on the left, i'm sure you are iPhone repairer too.. The G-Lon academy founder, Wyman. Photo taken 2018.